Key Biscayne offers the ultimate single family lifestyle for those that want to embrace the assets of living in a tropical oasis surrounded by water, but in close proximity to the bustling City of Miami and its surrounding communities. 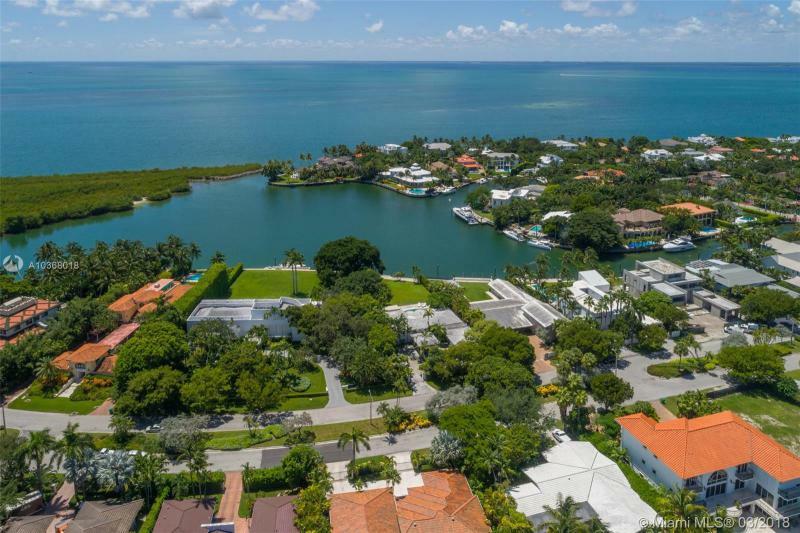 Homes for sale in Key Biscayne offer a quaint village appeal, scenic vista's, and protected parkland heightens the exclusivity of this island paradise. The ideal haven for boaters and water sports enthusiasts, most of the waterfront homes enjoy private boat docks. Popular amongst families, high profile figures, and those who simply want to get away from it all, Key Biscayne residents enjoy numerous parks, idyllic beaches, and a charming village center. 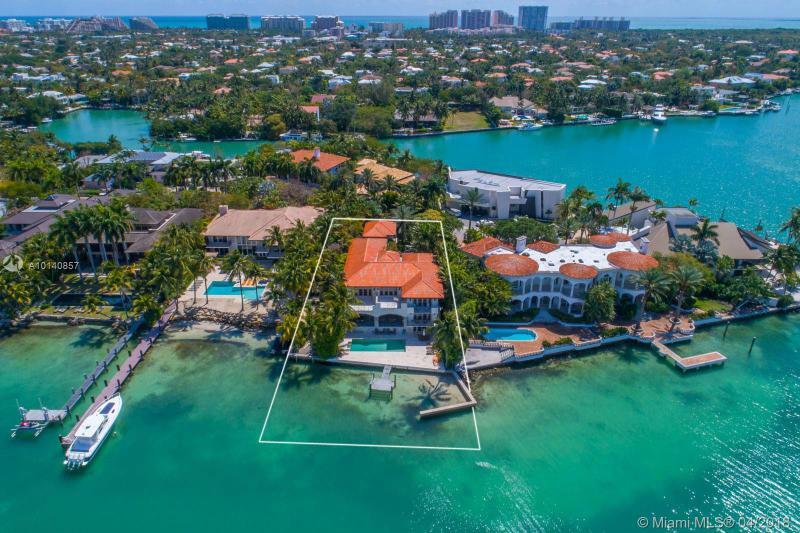 Key Biscayne homes for sale are located in neighborhoods that offer an array of waterfront single family opportunities from sprawling estates that enjoy wide bay views to beautiful homes that grace the tranquil waterways. Most of the dry lot and waterfront homes enjoy swimming pools and varying styles of distinctive architecture. Modern townhouse featuring: 3BD/3.5BA plus Den. Conveniently located 1 block from the Village Green Park and within walking distance to restaurants, shopping, and the beach. Marble and wood floors throughout. Den has a full bathroom and can be used as additional bedroom. 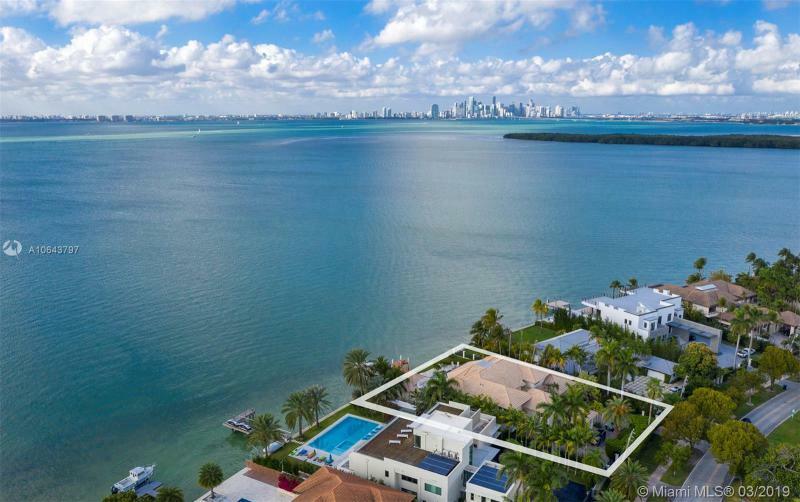 Excellent opportunity to live on the highly coveted island of Key Biscayne. Location location location!!!!! 3/2 + small office/maids room and GARAGE on KB most desired street. Walking distance to schools, shopping and park.This Beach house is very bright and you can enjoy the garden and pool view from the family-room area and kitchen. Outside area has a large covered are to entertain have a large table and lounge area. Easy to maintain with tile floors throughout. Hurricane Shutters and Circular driveway. Includes BEACH CLUB MEMBERSHIP. House is rented til may for $5900. House is walking distance to shopping area, schools, park and beaches. GREAT LOCATION!!!!!! incredible outside area with a wonderful pool.Cozy house with 3 bedrooms plus a family room or 4th bedroom. Impact windows.The House is rented at $6900 unit 07/31/2019. This charming island living home is perfect for the family who wants to renovate their new dream house. Also serves as a great lot to build a new custom house with approved plans and enjoy all that Key Biscayne has to offer. 3 bedrooms/2 Baths/1 Half Bath plus another large room that was previously a garage. Marble floors, walk-in closets and central AC. Available for Beach Club Membership. Please call L/A for 24 hour notice appointments. Great Investment Opportunity. Tenant in place for next year while you make your plans for this great corner lot. Or enjoy Island Living in this very charming Key Biscayne home. 3B/2B, paver brick entry and large living/dining/kitchen/office open concept living space. French doors off entry lead to the Master Bedroom, ensuite bathroom & additional exit slider to the back yard. Kitchen is very spacious w/ custom cabinetry, counter top seating for 6, built in office, sliding doors to patio and sliding pass-thru window for serving. Great patio area for entertaining with ample tree coverage. Double gate at side yard is perfect area for storing jet ski, golf cart etc. Proof of funds required. Original Mackle home with parquet floors. Selling for LOT value. Exceptional location on Curtiswood Drive. Build your dream home on a tropical Island in this Premier location. Desired North/South exposure, Showing can be scheduled if needed, but it's priced at the LOT value to purchase. AS IS. Home has hurricane shutters and Beach Club membership. Home condition is very rentable while designing and approving final plans. 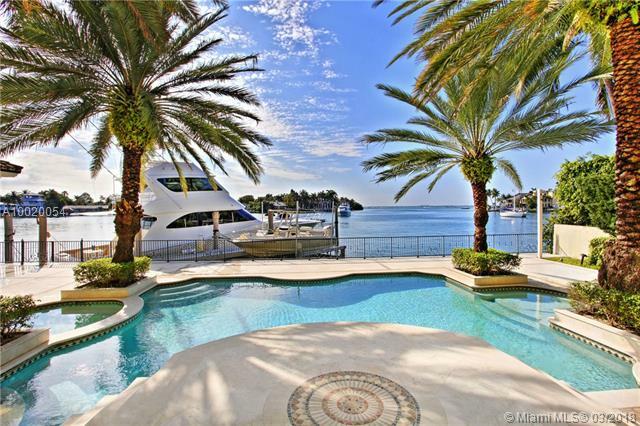 This magnificent waterfront home is the perfect setting for an amazing lifestyle. A world class estate that has been completely rebuilt with the highest level of taste,design and craftsmanship. Surrounded by water and lush landscaping this residence is warm,cozy and bright but yet elegant and unique. Offering an open floor plan that includes living room,dining room,family room and a state of the art kitchen+bar.It also has a gorgeous master suite,sitting area with 3 additional bedrooms and playroom that can be converted into a 4th bedroom for a total of 5 bedrooms and 6.5 bathrooms.Not only is this home seamless but it is also flawless with an outdoor terrace,guest house with bath,a great office(3rd floor)+2 car garage.Enjoy the incredible indoor/outdoor spaces that Florida weather offers. Waterfront house being sold for land value. House is not elevated to code. Lot is 80 X 160, with 80 feet on the water. Seawall is new. Pool has been recently remodeled. Roof is 3 years old. Beautiful water view of the end of the canal, where the canal widens and opens up. Beautiful mature coconut palms frame the view.Easy and quick access to Biscayne bay and the ocean. Please call owner-agent, Peter Warner, for an appointment. Enjoy your own tropical oasis in the coveted Holiday Colony in Key Biscayne. Perfectly located steps from sandy white beaches nestled on a lush 12,246sf lot. A beautiful, tree trimmed circular driveway welcomes you to this spacious and light filled home. The foyer entryway opens to a large open space with views of the stunning outdoors. Tall sliding glass doors lead you to a backyard featuring a saltwater pool, gazebo, Ipe wood deck, and large entertainment areas. Upstairs media room and office with architecturally designed windows, wrap around balcony and outside entertainment area. Boasting 4 bd and 3 and 1 half bath. Formal dining, eat-in kitchen and family room. Rich oak hardwood floors and marble flooring. Easy to show. Contact listing agent. Prestigious Harbor Drive location. This remodeled and very spacious three bedroom plus loft/4th bedroom with bay view, 3,055 sq.ft. pool home, features new bathrooms, 20 ft. high ceilings, enclosed garage, etc. is perfect for a large family. Best schools, Key Biscayne Yacht Club, churches, beach, parks, restaurants and boutiques all close by. Live the dream. Designer remodeled elevated home, nestled on an OUTSTANDING corner lot on PRESTIGIOUS Harbor Drive. An unpredictable organic garden contoured with railroad planks welcome you into a luminous and inviting home with wood moldings and ardoise gray stone floors. The beautiful kitchen features a Wolf gas stove and Carrara marble countertops.Wooden deck. Security cameras and ADT security system. As you walk in, you will notice that every detail has been carefully selected. Beach Club Membership. Spacious one story home with exotic flair in quiet street in oversized lot with total privacy. Open kitchen includes gas stove, 2 refrigerators and a wine cooler. Oversized covered terrace allows large gatherings. Each bedroom has its ensuite bath and custom walking closet. 4th bedroom for guests has open type bath. Several bonus spaces across the house with office, extra family room and large foyer. Beach club membership included. Fantastic House at key Biscayne, one of most desire island to live !!! Totally renovated new wood floors, brand new kitchen appliances/w breakfast area , direct access to pool area. Modern design. This beautiful corner property is ready to move in. 4 bed + 3 bathrooms, custom closets, green areas with pergola. 4 parking space. Enjoy the Beach, Tennis, Golf and the exclusive life of Key Biscayne. A quaint tropical oasis This 4 bedroom home was remodeled to perfection in 2014 and is ready for a quick & easy move-in. Inviting in every way, this home is ideal for family living & entertaining with an open floor plan and lovely outdoor spaces filled with native trees and plants throughout. Best of all is the perfect location - walking distance to the Yacht Club, excellent schools, restaurants & the Village Green. A pleasure to visit! 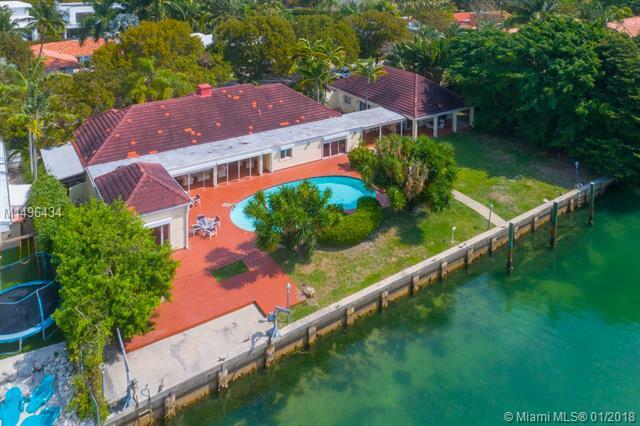 Live on an island paradise only 15 minutes from downtown Miami! Lowest priced, elevated 4/2.5 home on the island. Elevation greatly reduces flood insurance & risk. Almost 3300 sq. ft. Enclosed 2 car garage with large workshop/storage room. Covered / screened patio and huge Ipe hardwood deck. All bathrooms and kitchen beautifully remodeled. Large master bedroom on first floor. Key Biscayne Beach Club membership included. Full house WiFi and speaker systems. Close to schools, shopping, restaurants and churches. One of Key Biscaynes few homes on Pines Canal facing Cape Florida State Park, so your views are pure mangroves. You will never have construction spoiling your view! Swim in your pool in complete privacy! A true boaters dream home with an L-shaped canal with frontage to fit two boats! Gorgeous formal and informal areas perfect for entertaining! Large functional kitchen, family room, office/library, lots of covered terraces. Six car garage for the car lover!Wine cellar, elevator, gym! Five bedrooms/6 baths/3 half baths. Gorgeous onyx floor and counters in the master bath. The home has everything you need for luxurious living! Location ... Location ... 160 Feet on the Water with 20,467 Sq Ft lot (as per the Survey) - SPECTACULAR and ONE OF A KIND. This is a gorgeous and amazing property with a house and a guest house. The main house has 3 bedrooms /3 Baths, living, dinning, kitchen and family room. The guest house has 2 bedrooms/ 2 Baths with separate kitchen and social area. House is charming and in very good condition or you can Build your dream home on this oversized lot and unbelievable property where you can have every room with a view since there are 160 feel on the water. This is a Boaters paradise ! Property has 2 different folio numbers. Easy to show. NEVER LIVED IN 2018 NEW HOME. A CONTEMPORARY TWO STORY ELEGANT DESIGN WITH AIRY OPEN SPACES. HOUSE FEATURES 12 FT GLASS DOORS AND CELINGS THRU-OUT ENTIRE HOUSE. ENJOY LOTS OF LIGHT AND THE FEELING OF NATURE SURROUNDING YOU. LARGE COVERED TERRACE OPENS UNTO POOL AND MANICURED SERENE TROPICAL GARDEN. A 5 BR, 5.5 BATH. ENJOY: DUMB WAITER, ELEVATOR, TWO DISHWASHERS, HUGE MASTER BR AND CLOSET AND MANY HI-END CUSTOM FINISHES. OVERSIZE CORNER LOT, SIZE 9,884 SQ.FT. WITH LOTS OF PARKING. Live at walking distance to the beach in this classic two story 5 bed/6.5 bath built in 2005. The foyer opens to the living areas with high ceilings and plenty of natural light. En-suite bathrooms & walk in closets in all bedrooms 1 guest downstairs/4 upstairs+sitting area. Spacious master with private terrace, his & her bathroom with sauna, jacuzzi and shower. Family room, formal dining and living room, brand new kitchen and private office. All impact windows and doors, elevator, pool, 2 car garage, maids quarters. Kitchen in progress pictures will be up soon. Built in 2000 this stunning 5 BR, 6.5 BA contemporary custom residence boasts a wealth of luxurious finishes and sits on a 12,775 SF corner lot on one of Key Biscaynes most exclusive streets. Private and gated, this 5,980 sq.ft. home is meticulously detailed and features an amazing floor plan with an abundance of natural light, large balconies throughout the home, all impact windows & doors, full house generator & a 2 car garage. The kitchen is carefully thought out with a large island, pantry and breakfast area that opens to the backyard & pool area making it ideal for family living & entertaining.Outdoor resort style living spaces w/ heated pool, lush landscaping, sauna & steam room. Spacious & partially covered roof top terrace with 360 degree views of the bay and Miami skyline. VILLA ROSA is a tropical dream 5-bedroom home designed by renowned architect CESAR MOLINA. Oversized lot (12,200 sf) on VERY quiet street. Caribbean style. Meets hurricane codes. Huge covered terraces with lots of ceiling fans. Charming kitchen with island, wine cooler, separate fridge, two ovens, two dishwashers, subzero fridge. Master bedroom with private terrace.Enormous closet with safe. Double Master-bathroom with sauna. Big driveway and enclosed garage. Maid's quarter. Beautiful house in Key Biscayne. Move in ready, fully upgraded with top of the line appliances. Conveniently located. Quiet street with swimming pool. House has 5 Bedrooms and 5 1/2 baths. A must see! You will fall in love with this 2 story home on prestigious harbor drive. Recently renovated with the finest finishes, including oversized sub-zero refrigerator and freezer , wolf & miele appliances. This 5 bedroom 4 1/2 bath home features an oversized master bedroom, marble & wood floors throughout & a spectacular covered summer kitchen perfect for entertaining. The house has brand new a/c units and heated pool. Smart home equipped with cameras & sound system. 2 car covered carport with additional storage. This is the ideal home for a family. Exquisite island home ideal for family living & entertaining. Just remodeled in 2018 - ready for a quick and easy move-in. Very well built! The elevated home offers high ceilings and natural light throughout. The formal living, dining and great family room give way to a large wrap around terrace overlooking the pool and tropical landscape. The second level offers four bedrooms with en suite baths and a family area for homework and play. Best of all is the perfect location - walking distance to the Yacht Club, excellent schools, restaurants & the Village Green. A pleasure to visit! Andalusian style gem in exclusive, secure Mashta Island, to enjoy as is or transform to your taste! Plenty of space (over 4,000 sq ft as per appraisal) to raise a large family while remaining cozy enough for a small one. Solidly built, and never been flooded. The large solar heated pool can be used year round. There's parking enough for 4 cars + a golf cart in the electric-gated driveway. Large private master bedroom & sitting room upstairs (with an elevator) and another master plus 3 other ensuite bedrooms downstairs. Priced to sell, don't miss this opportunity! Exceptional custom designed and smart home with top of the line finishes, built as owner's forever home. Architecturally significant design in over 12,000 sq ft lot featuring 6 bedrooms, 6.5 bathrooms plus a library room, den and gym. Magnificent entrance with floor to ceiling windows gives abundant natural light. Family room opens to expansive terrace with outdoor kitchen facing the pool and elegant cascade, all designed for gracious, elegant yet relaxed tropical living. First time on the market. As per owner, this exceptional 6 Bedroom/4.5 Bathrooms waterfront estate with over 100 feet of direct inter-coastal access. Incredible inter-coastal views, including views of Bill Bags State Park. A large pool stretching across the yard, inter-coastal dock. Interior features retro staircase grand family and living room. Great opportunity for developer to build a larger updated Estate and sell for Double the price! Impeccably designed two story island dream home with open spaces. Enjoy the ultimate indoor-outdoor living of Key Biscayne at its best with an oversized lot of 10,261 Sq Ft. Sophisticated and elegant home with neutral tones offers a beautiful entrance and living room, separate formal dining room, gourmet kitchen, 2 warm family rooms, 6 lovely bedrooms including the stunning master suite, 6.5 bathrooms. Top of the line fixtures and finishes with great details throughout plus a wonderful outdoor area with an exquisite terrace and pool for entertaining. This home offers custom luxury living for any family. Exquisite Contemporary Brand New Construction in highly desirable Key Biscayne. Best floorplan ever! This elevated, two-story meticulously designed home, consists of 6 bedrooms and 7 baths. Exhibiting only the best quality in construction, luxurious finishes and landscaping, this home is perfect for indoor/outdoor entertaining and enjoying the Key Biscayne lifestyle. Open living space with sliding glass doors to enjoy natural light and ventilation. Open kitchen with waterfall Matarazzo granite countertops, european cabinetry and high end appliances. This modern, spacious and light-filled home is ready for immediate occupancy. Beach Club Membership Included!! Would consider a small home in KB as part of the deal. 28 Harbor is a spectacular oceanfront sanctuary located in the prestigious Harbor Point of Miamis Exclusive Island, Key Biscayne. This custom gated mansion is a masterpiece situated between the Atlantic Ocean and the Islands Harbor. With over an acre of prime oceanfront property, this residence includes a 172 Ft deep water private dock to the north, large enough for a mega-yacht. The direct oceanfront location is tremendously private and includes a state of the art security system. The infinity edge pool is complete with a jacuzzi and over 5,000 sq ft of outdoor terraces. A Zen Entry, makes this the most tranquil and spiritual place one can imagine. Entering the home becomes a personal affair of elegance with a meticulous blend of luxury materials complimented by magnificent views. BRAND NEW waterfront estate offering the ultimate level of luxury and perfection.This 3 story contemporary masterpiece has been meticulously designed with exquisite architecture providing both comfort and elegance with spectacular top of the line finishes. This gorgeous home has very defined and open spaces with breathtaking and astonishing views of the harbor and bay. This dream residence is offered fully furnished as seen in the pictures with an incredible infinity pool & terrace overlooking the harbor, 7 bed, 7 full baths and 2 powder rooms,high ceilings throughout, floor to ceiling glass windows & doors, stainless steel state-off-the-art appliances,BBQ area and on the 3rd level you will find a stunning family room, bar and huge terrace where you can enjoy entertain family and friends. Beautiful lanai located on the ground floor with screened in patio that overlooks the garden while having access to the pool area. Great spot to entertain or simply read a book. Walk thru the beach to grab Sunday brunch at the Ritz or ride your bike to the nature trails of Crandon Park. Resort style living while enjoying all the extras that Key Biscayne has to offer. Outdoor living at its finest. Charming 3 /2 plus an office/maids room. This is one of the few Mackels home that has a Garage. Enjoy outside living with covered area for a lounge area and/or dinning space next to pool. Lush garden with heated pool, swings and play house for children. Conveniently located on most sought Harbor Dr. in-front of St Agnes School. Easy to show. Owner/agent. House comes with Beach Club Membership. Live in a beach community in a cozy house. Pets are welcome! House may be available before May 20th. Seasonal Rental March 2019 Until November30th,2019 ONLYGreat home for a small family seasonallyRemodeled. Key Biscayne Beach Membership included.Washer and Dryer. Water and Electricity includedFurnished or partially furnished. Available now annual. Spacious one story home with exotic flair in quiet street. Open kitchen includes gas stove, 2 refrigerators and a wine cooler. Oversized covered terrace with full outdoor living room set. Each bedroom has its own bath and custom walking closet. 4th bedroom for guests has open type bath. Several bonus spaces across the house with library, office and large foyer. Beach club membership, pool and garden maintenance included, pest control every 2 months included. Enjoy the Key Biscayne lifestyle in this bright, contemporary, perfect home with high ceilings, upgraded kitchen and bathrooms. Tile and laminated wood floors throughout. Great for entertaining. Relax by the pool under a spacious covered patio. Circular driveway with 2 car garage. Call Today ! Least expensive best located 4 bedroom home on Key Biscayne. 2 blocks to Key Biscayne K-8 and preferred admission to Mast Academy, one of the best high schools in the country. Walk to shopping and restaurants and Beach club membership is included in the rent. Just a 2-minute stroll to the beach and restaurants! Luxurious furnished 4-bed/4.5 bath dream home situated on a quiet street in a high-end community. The grand entryway with a sweeping staircase draws you into a voluminous layout made for entertaining. The open floor plan encompasses four spacious bedrooms each with private bath, plenty of room for study, sleep and storage, sleek stylish gourmet kitchen with stainless steel appliances flows through to living with fireplace. The family room opens to spacious rear patio and gleaming tiled pool. The Master Bedroom occupies entire second floor with two walk-in closets, double sinks in bath and ensures parents have a private space. Extra-large laundry room and pantry with garage entry a plus for cleaning sandy feet after a day at the beach. Move in ready. Stunning 2 story Home. Completely updated in 2012-2013. Open Gourmet Kitchen & Impeccabledetails throughout. Family and formal dinning. Impact glass doors & windows. Large covered terrace with BBQ areaand pool. Must See. >>>>AVAILABLE FROM JUNE 10ST,2019-AUGUST 20th ,2019 ......FURNISHED>>> 5 BEDROOM PLUS SERVICE QUARTERS..... FABULOUS BRAND NEW CONSTRUCTION. BRIGHT AND SPACIOUS MODERN HOME TASTEFULLY DESIGNED WITH VOLUME CEILINGS, MARBLE FLOORS, OAK WOOD STAIRS, MASTER BEDROOM SHOWER WITH ARTIFICIAL RAIN AND AROMATHERAPY. HOME FEATURES OPEN KITCHEN WITH ITALIAN CABINETRY AND MIELE APPLIANCE . SUNNY ROOFTOP TERRACE WITH CITY VIEWS. INVITING POOL AND PATIO SURROUNDED BY LUSH LANDSCAPING FOR UTMOST PRIVACY. Enjoy Key Biscaynes gorgeous beach, golf course, tennis courts, marina, fine restaurants and shopping. Property can be rented furnished or unfurnished. Luxurious and charming house in the exclusive area of Key Biscayne. This property was updated with a high standard of finishes, high ceilings, customized California wood closets, marble throughout, electronic window treatments, black-outs, shades. Don't be the last to let you fall in love with this enchanting home. The 6th bedroom located on the first-floor also function as a big space office (as per owner instruction). 6 Bedroom, 6 full baths, 6-month rental. Beautifully furnished, professionally designed by James Duncan Inc, newly renovated. This house has been on house tours and is furnished for a family who loves art and books and lives in Europe in the summer, so it is not furnished as a typical rental. Beautiful bright new kitchen. Large terraces for outside dining with plenty of shade. Pool, walk to one of the countrys most beautiful beaches. Golf and tennis nearby. Internet, children welcome. Available April 15 through October 15, 2019. Also Christmas 2019 and January through October 2020.